Centrally located in Florida, Orlando is the ideal place for a family reunion. Beautiful weather provides more time to be spent outdoors at the theme parks, pools, beaches, and lakes. OrlandoVacation.com offers vacation homes, townhomes, condos, and Orlando hotels in which have amenities just like home. Perfect for large families to reunite and spend quality time together. Vacation homes, condos, and townhomes within gated communities can accommodate multiple families. Accommodations with various types of bedding available to fit your family’s needs. Fully equipped kitchens and private pools. Close to grocery shopping. Minimal deposit needed to reserve accommodations in advance to give everyone within the family time to save for vacation. Theme park and other Orlando attractions tickets available at discounted rates for those groups that qualify. Vacation home communities are within 15 minutes from Orlando’s major attractions. Resort communities offer many out side amenities for family gatherings (water parks, pools, golf courses, playgrounds, spas, fitness centers, volleyball, tennis and basketball courts). Booking early is key. Large vacation homes with private pools are always the first to be reserved. The summer time is popular for family reunions. Most major holidays are extremely busy for the theme parks making Orlando hotels and vacation home rentals in high demand. Traveling before summer break or after summer vacation is a more affordable time of year. Booking up to 1 year in advance suggested. Theme park group discounts are available for groups of 25 or more booking and paying as a group. We will help make sure your trip to Disney World is about catching up and enjoying time with your family. Everyone will be proud that you found the best rates for your trip! SeaWorld Orlando is perfect for the animal lovers and thrill seekers in your family. Even great for grandparents with lots of exciting shows to sit and watch! Planning a family reunion? Universal Studios is a great place to entertain both the thrill seekers and movie buffs in your family. Call us today to get the best rates! Choose from our exclusive family reunion packages. Our group vacation specialist will help you create the best package for your group! Discounted rates! The larger the party the more you save on lodging and theme park tickets. Our specially trained Travel Specialists will assist you in finding a vacation home that meets your needs and expectations. You get to work with your individual travel specialist so just one point of contact for your entire group. Option to stay in a hotel or vacation home, all VERY close to Disney World, SeaWorld, and Universal Studios. Rooms located together at your resort* based on availability. Ease of planning – everything is coordinated for you so you can spend more time relaxing while in the destination. On site tour operators always available to ensure that your group arrangements go as planned. Possible group discounts on tours and excursions from our partnered restaurants, transportation companies and budget attractions. 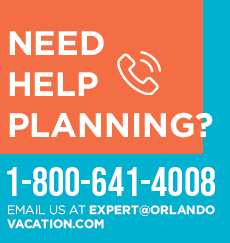 To qualify as a group with Orlando Vacation, group must have a minimum of 25 people including children. We require a $500.00 deposit in order to make a group reservation. If you should have to cancel your reservation prior to 45 days of your arrival, there is a $300.00 cancellation fee, and we will refund the remaining $200.00 deposit. Once a contract is signed, all ticket prices and hotel prices are locked in so you don’t have to worry about prices increasing. If your organization is tax exempt, you will need to provide us with a Florida Consumer’s Certificate of Exemption. The remaining balance for all groups is due 30 days prior to your arrival. Failure to pay the remaining balance, could lead to your group reservation being cancelled and theme park tickets not being ordered. Fill out the form below and one of our vacation specialists will reach out to your shortly.